The annual Sheridan Family Holiday party is making its return on Dec. 8. This is the college’s fourth time organizing this event for students who have children 12 and under. “For the Trafalgar Campus we’ve got about 60 kids signed up and for the Davis we are expecting over 100 kids for sure,” says event coordinator Danny Connelly. The Family Holiday Party is an exciting event for parent students. (Photo by Sara Bawar/The Sheridan Sun). “This year we’ve done a really good job at working with the college side and a lot of departments such as the HR department and some of the other departments have also decided to sponsor families to actually purchase the gifts and contribute in their own way. They purchase some gifts for the children so it’s really nice to have their support,” explains Connelly. The event is organized and funded by the Sheridan Student Union and will include activities such as holiday music, cookie decorating, photos and a gift from Santa. The college is committed to keeping the tradition consistent while also looking for ways to improve the event. “There is a strong demographic of parents trying to be students returning to school. There is a strong demographic of students who have kids at a young age but also want to attend school and be a part of the Sheridan community,” adds Connelly. The event is hosted at The Marquee and The Den where beverages and refreshments will be provided for all families attending. The event is free but there is a limit of three kids per student. Students can go to the campus that is closest to them. This is just one of the many ways the Sheridan Community supports students who are also parents. The college also offers daycare at the Trafalgar and Mississauga locations. The Child Care Centre is open all year for children up to 5 years old. 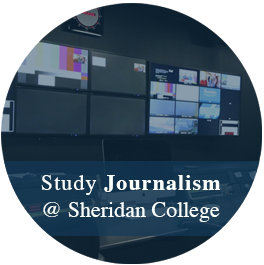 Students have to RSVP on the Sheridan Student Union website where they can also find more information.